While audiences and fanatics are eagerly awaiting announcements about RRR, here’s the lead actor of the film busy signing projects reportedly. We all know that the Junior NTR and Ram Charan starrer untitled film has generated ample curiosity. Add to that, the film is being directed by Bahubali director SS Rajamouli. 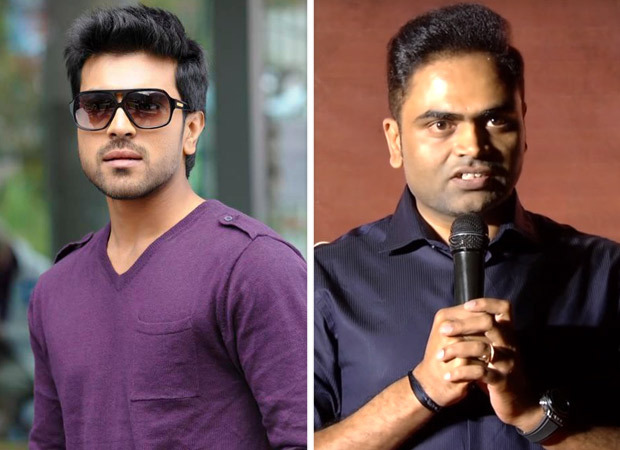 If that wasn’t all, now, latest reports have it that Ram Charan will follow his mega-budget RRR with another interesting project and it will be with none other than Vamsi Paidpally who is busy with the Mahesh Babu starrer Maharshi currently. We all know that Ram Charan and Vamsi Paidipally earlier collaborated for Yevadu which turned out to be a big blockbuster. The duo is keen on repeating the magic on the big screen. However, as of now, the two of them are quite tight lipped about the ongoing speculative reports on their collaboration. Hence an official announcement and the details of the film are yet to be revealed. On the other hand, Vamsi Paidipally is eagerly waiting for the release of the Mahesh Babu starrer Maharshi which also features Pooja Hegde and Allari Naresh in prominent roles. The film, which was supposed to release in April, had to be shifted to May owing to screen space constraints. The action drama is expected to release on May 9. As for Ram Charan, the actor is currently taking treatment for his last injury on the sets of RRR. Readers would be aware that the makers of the film had earlier announced that they had to stall a major shoot schedule in Pune because the actor injured himself whilst shooting for the film. He is expected to play the role of a patriot in this Rajamouli period drama along with Junior NTR. Alia Bhatt, Ajay Devgn too are expected to play key roles in this untitled film. It is slated to release on July 30, 2020. Also Read: Ram Charan informs his fans about the ill health of his uncle, actor-politician Pawan Kalyan through this post! Next Saaho – This romantic photo of Shraddha Kapoor and Prabhas gets LEAKED from the sets of the film!